Be mine? 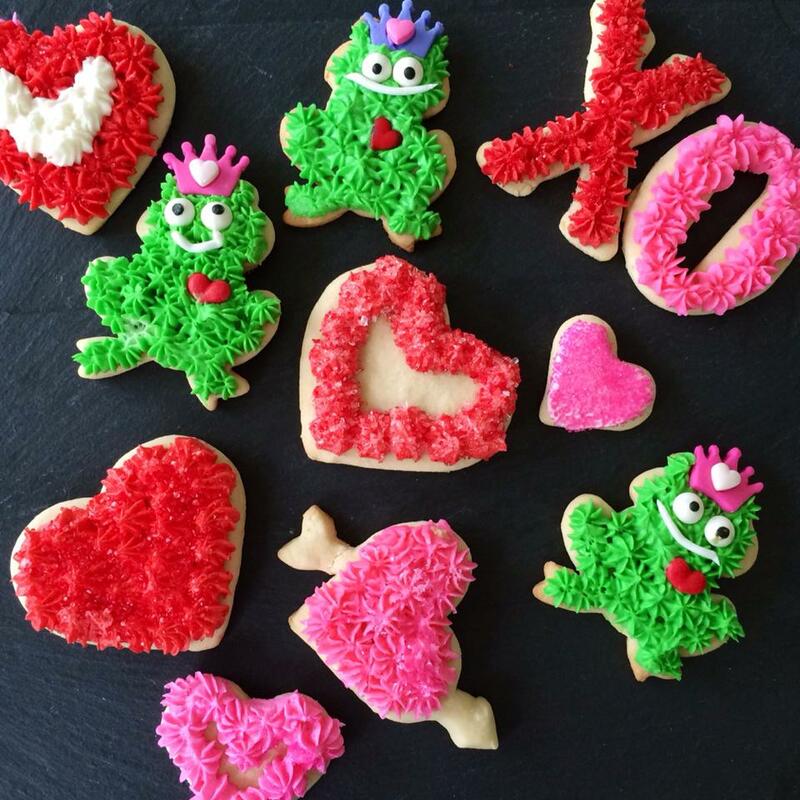 February 14th is just a few days away, which means it’s time to start thinking about which sweets and treats you’re going to bake. If the way to a man’s heart is through his stomach… Well, I think these will do the trick! You know, butter him up with buttercream! Soft sugar cookies with sweet buttercream frosting are sure to make any man melt! *Since this is a secret family recipe I will not post the original here. I found a very similar one from Alton Brown. Enjoy! Sprinkle surface where you will roll out dough with powdered sugar. Remove 1 wrapped pack of dough from refrigerator at a time, sprinkle rolling pin with powdered sugar, and roll out dough to 1/4-inch thick. Move the dough around and check underneath frequently to make sure it is not sticking. If dough has warmed during rolling, place cold cookie sheet on top for 10 minutes to chill. Cut into desired shape, place at least 1-inch apart on greased baking sheet, parchment, or silicone baking mat, and bake for 7 to 9 minutes or until cookies are just beginning to turn brown around the edges, rotating cookie sheet halfway through baking time. Let sit on baking sheet for 2 minutes after removal from oven and then move to complete cooling on wire rack. For frosting, in a large bowl, cream together the confectioners’ sugar and shortening until smooth. Gradually mix in the milk and vanilla with an electric mixer until smooth and stiff. Color with food coloring if desired.